Elisabeth with a nice grayling taken at the outlet of Lake Galtsjøen, which is better known as Galthue. Even though the fall has come there are still plenty of excellent opportunities around for good fishing. Galtsjøen and Galthue can offer excellent fishing this time of year, and even if they aren’t rising they are sure to take a nymph on the bottom. For more information on fishing opportunities and accommodations here contact Per Roar at Galten gård. 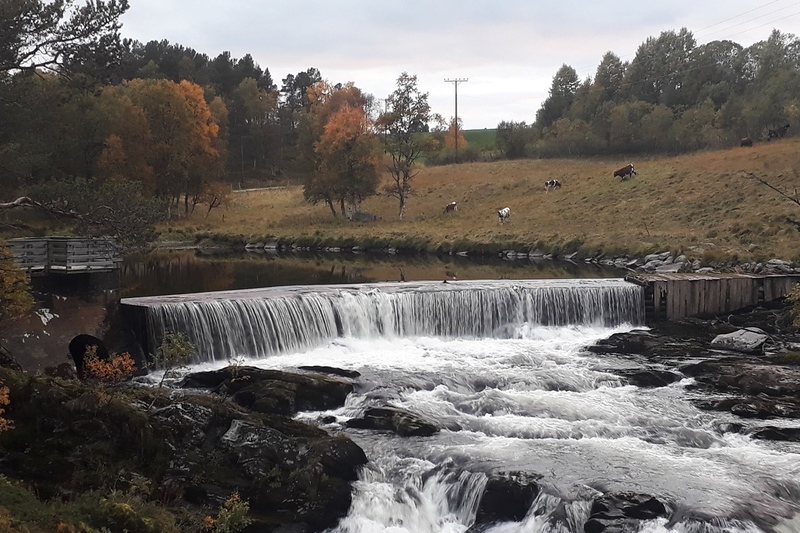 Fall has come, but at Kvennan Fly Fishing there is still plenty of the fishing season left. 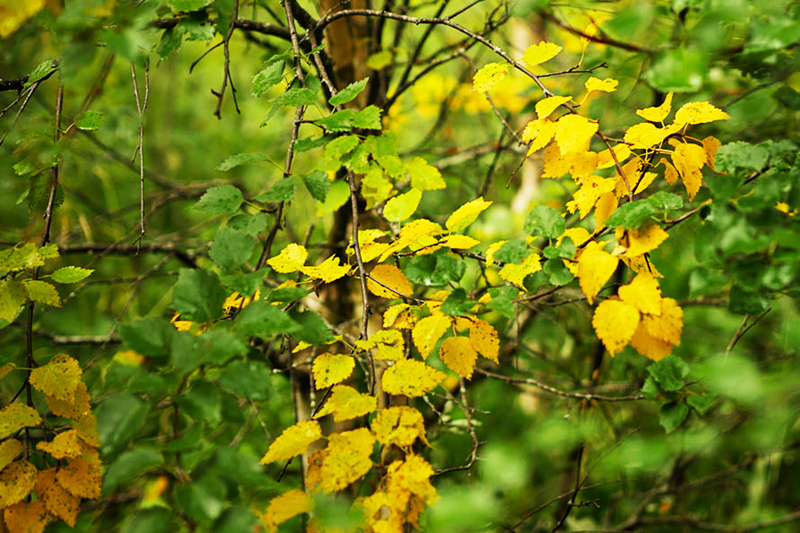 The season is over in Vangrøfta. 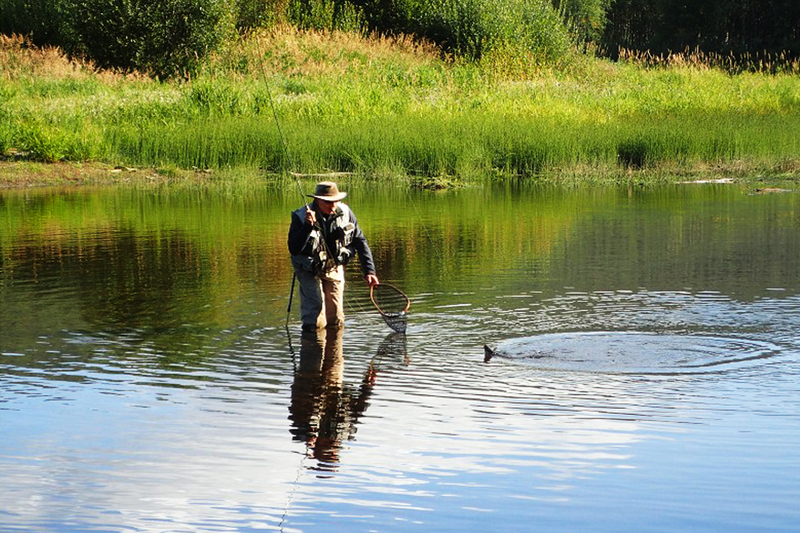 The strange summer weather and drought conditions made for very tough fishing conditions here. 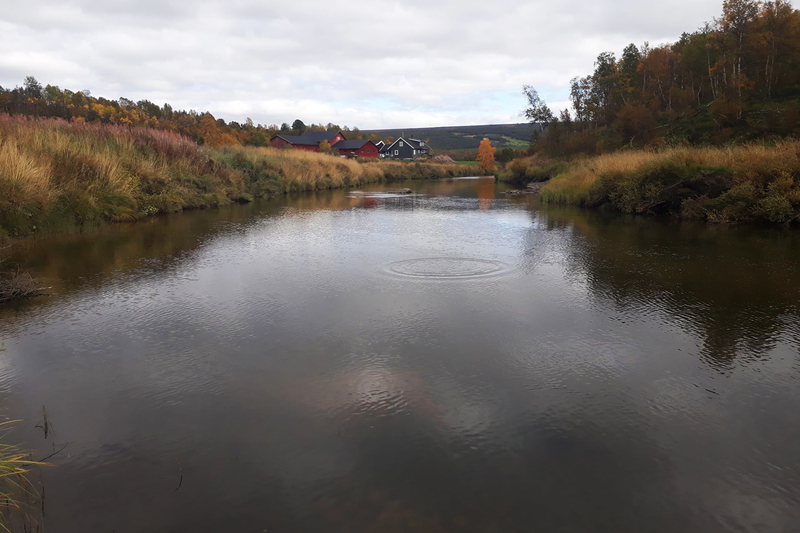 The “Grøft otter” Olav was found in Vangrøfta last weekend and there are still fish to be found here… There was a 3 kg trout caught in Vangrøfta earlier in the summer this year. Fishing guide Jean PP Fishing guide Jean PP Has not yet given up on the season either. Grayling fishing has been excellent lately and is becoming more and more popular. Last week a French film crew joined forces with Jean PP and the group he was guiding. 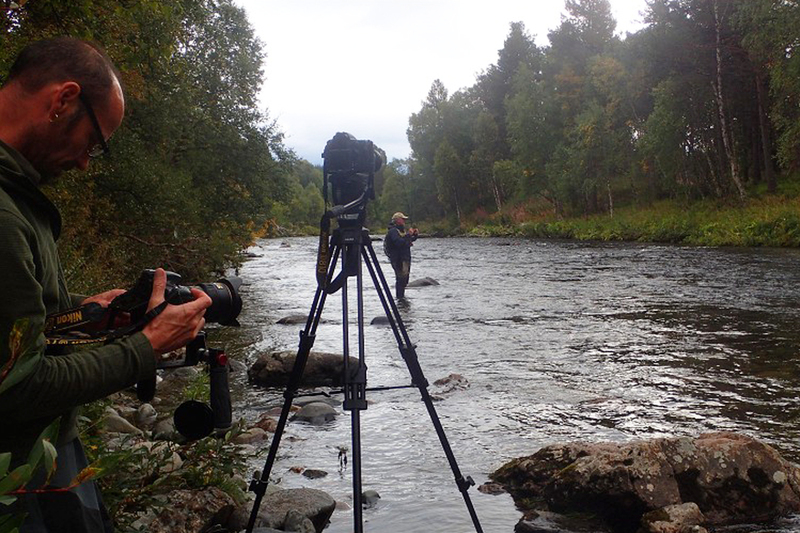 This winter there will be a French TV program on fall grayling fishing in Norway.